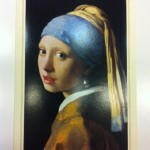 All the signs are up in the city for “Girl With A Pearl Earring”/Dutch Paintings From The Mauritshuis. There are signs hanging on store fronts, banners along Embarcadero Street on the waterfront, along sunset and even on buses running through St. Francis Woods San Francisco. There are signs everywhere for “Girl With A Pearl Earring” who is here visiting from the Mauritshuis. We were happy to create the Invitations and Calligraphy for the invitation envelopes. 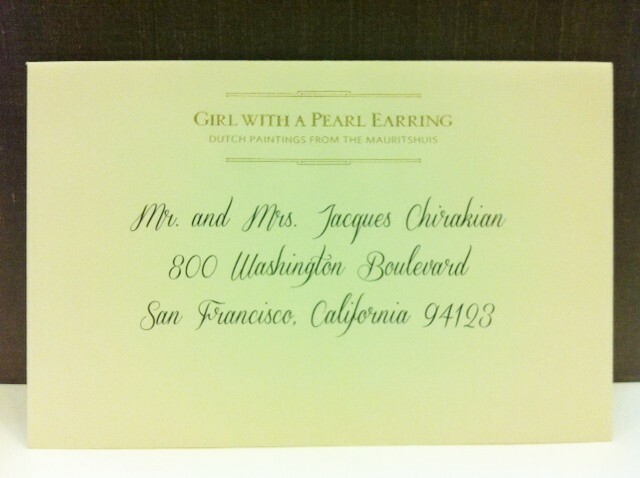 Jacques used Digital Calligraphy to address the invitation envelopes with an elegant script font in black ink. Hyegraph also worked with local high quality printers to have the return address engraved on the envelopes as well as on the invitations. 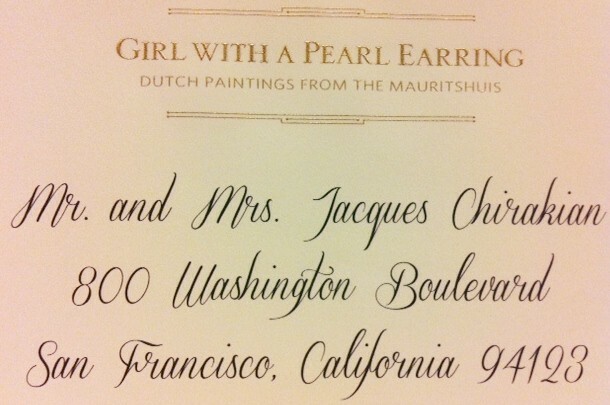 The result is stylish, artsy invitations and envelopes addressed and sent to distinguished guests to attend the exclusive premiere of the exhibition: GIRL WITH A PEAL EARRING at de Young Museum at Golden Gate Park, San Francisco running though June 2013. 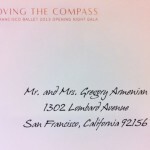 You can see more on the invitations on our Blog. If you would like us to help you with designing your next custom invitations or address your invitation envelopes for your next event, i.e. fundraiser, opening, gala, party and/or wedding simply contact us by Email, Phone or stop by at Three Embarcadero Center in San Francisco where we can work on your project together. 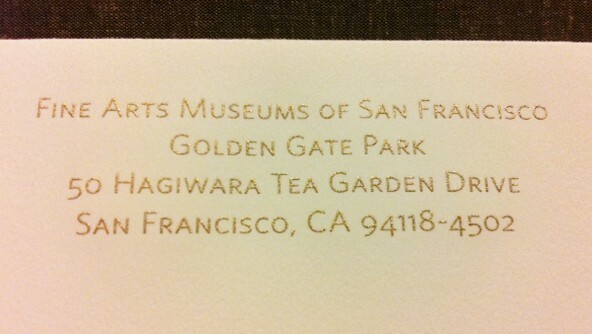 If you’re not in the San Francisco area you can still order your calligraphy or invitations online or over the phone. We work with customers from Napa, Carmel, San Jose, Los Angeles, Seattle, WA, Hawaii and the East Coast including Boston, New York, Florida and Texas. For Elegant Wedding Invitations check out our Wedding Invitations Category. To see Fine Stationery, see our Crane & Co. Stationery. To order our stationery products ONLINE go to our ONLINE site. To see our Happy Customers please go to our Testimonials Page.